Share this product and receive a $1.12 sharing discount. 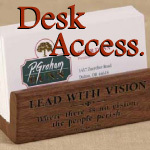 Perfect for the home, office or church... and a pretty awesome gift for Dad's desk! 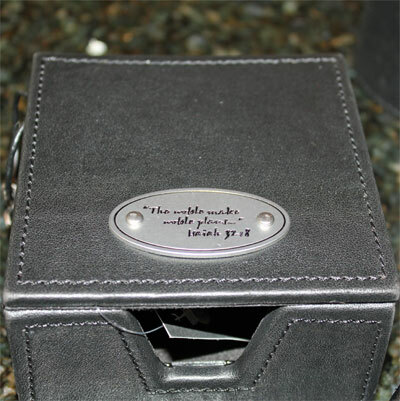 This sophisticated black desk accessory with engraved Scripture plate will dignify any office. Holds 3" x 3" post it notes or small note paper.